The lightweight 4 Step Aluminum Platform Ladder is designed with extra heavy duty side rails. It also has a slip resistant platform and rubber feet. Top platform has a guard rail for added protection. 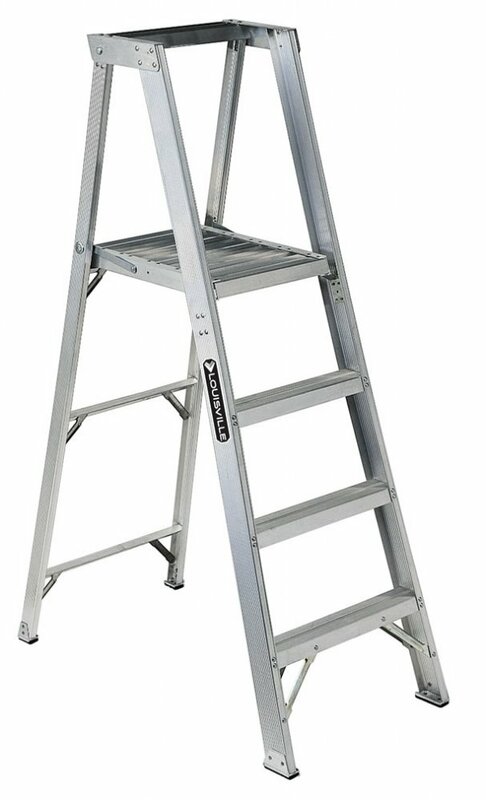 This ladder meets the most demanding industrial and contracting applications.